Colleen with Tom, a retired carriage horse, whose face shows halter wear from his earlier years with the Amish. Animal protection can be very challenging, but one of the benefits is meeting amazing people. Pat Valusek, NYSHA’s President, tells us about someone she works very closely with. Do you know anyone who rescued a horse and drove it directly to a police station, determined to convince them that there was indeed a cruelty case to be investigated? We do! Motivated by her love of horses and a concern for their well-being, Colleen Segarra left a lucrative corporate job in New York City to buy a farm in Orange County with her husband John, who shares her passion and vision. Colleen said her affection for horses began as a child. Taking riding lessons and trotting along trails in the Bronx were a formative part of her youth. And yes, there were stables in the Bronx and still are. Given her steadfast interest in animals, she attended an agricultural high school in Queens that sent her on internships to horse barns, cow farms, and other animal-related enterprises. In addition, given that many in her family were in law enforcement, she volunteered at the horse barn of the NYPD mounted unit to groom their horses. After high school, she started a path to become a veterinarian, but realized it was not what she wanted. She changed directions, entering the corporate world. But her love of horses led her to spend much of her salary to save them from bad situations and kill buyers, boarding them in stables Upstate. She soon had an epiphany – she could help more horses if she and John purchased a farm in Orange County. He agreed, so it was goodbye to corporate life and hello to farm living and stall mucking. Though her husband retains his city job, Colleen has never looked back. She manages the farm with the assistance of her two children, committed to doing all she can to benefit horses. 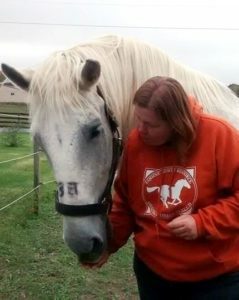 After the move, with a small group of like-minded individuals, she formed a non-profit organization called Equine Rescue Resource (ERR) in 1999 and incorporated soon after. Initially, ERR focused on educating horse people and the general public about the horrors of horse slaughter. That quickly expanded to helping with cruelty cases by removing and holding horses for law enforcement agencies as the crimes were processed. In addition to housing them on her farm, ERR places the horses in various foster homes throughout the Hudson Valley. To learn about the issues involved in these cases, Colleen educated herself in the animal cruelty laws of New York. She attended workshops conducted by NYSHA, ASPCA, New York City Bar, and received Technical Large Animal Emergency Rescue training. She has also worked with NYSHA to understand the security bond process. 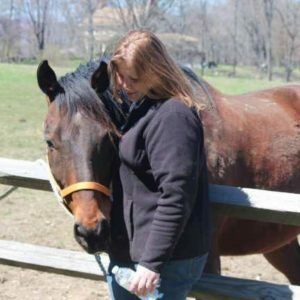 Her accumulated expertise led to her appointment as the Humane Chair for the NYS Horse Council. Calling upon that expertise over the years, NYSHA has asked her to assist with cruelty cases in multiple counties. SPCAs and police agencies in the Hudson Valley contact her for assistance, both for holding the animals and her equine knowledge. Colleen’s support in various cruelty cases, including the Ernie Paragallo horse and Argus Farm pony breeder cases, as well as the Cherokee Ridge hoarder case, has been invaluable, both to the animals and the law enforcement agencies. She is a woman who makes a difference.